If you’re new to the tournament you may have some questions about our format — what we fish for, the different entry levels and awards, and how to enter the tournament. This page should answer most of those questions. 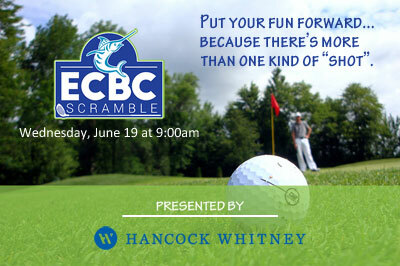 But if you’d like more information, just call Julia at 910.264.3947 or email tournament@fishecbc.com. Entries received by May 31 are eligible for the Early Bird drawing and a chance to win $1,000 plus free dockage at Baytowne Marina during the tournament. The earlier you enter the more chips you get. Entry date is based on the date we receive your deposit. The Emerald Coast Blue Marlin Classic is a “modified release” tournament; blue marlin are the only billfish that may be weighed and must meet a 110″ minimum length before they can be boated. Release points are awarded for blue marlin, white marlin, sailfish and spearfish. The three heaviest weighed blue marlin, dolphin, tuna and wahoo are eligible for cash awards, as are the top three teams entered in the Release Division, and the top three Crews entered in the Crew Division. Awards are presented to the top overall, release, lady and junior anglers, and the top overall release team has its name engraved on the Magnificent Blue Perpetual Trophy, donated by Galati Yacht Sales and Viking Yachts, sculpted by Chris Barela and on permanent display in the Baytowne Marina Bar & Grill. Registration takes place 4:00-8:00pm on Wednesday, June 19 at the Baytowne Conference Center. PREFERRED Fill out and submit the Online Entry Form. Email the completed form (PDF) to tournament@fishecbc.com. Mail completed forms to the address above. DO NOT mail after June 3rd. Bring completed forms with you to Registration. You can download a PDF version of the entry form at this link: Entry Form. You can enter the tournament any time before the end of Registration on Wednesday; the base entry fee ($6,000) must be paid in full by the end of Registration. Optional entry levels and jackpots can be entered at any time up until the start of tournament fishing. Teams must check in during Registration to verify team information, pay any entry fees due and collect team bags. Teams receive six (6) wristbands for the kick-off party, four (4) Angler bags and one (1) Captain’s bag. Additional wristbands and merchandise may be purchased. If you have any questions or need help email tournament@fishecbc.com or text/call Julia at 910.264.3947. Each team is given an envelope at Registration which includes a billfish scorecard, tail tags, rules and other forms. CHECK—PREFERRED Checks (business, personal, cashiers) are accepted for both Registration and Optional Jackpots. Make checks payable to SANDESTIN INVESTMENTS, LLC. CASH—Cash (USD) is accepted onsite during Registration and Jackpot Entry. CREDIT CARD—We accept American Express, Visa and MasterCard. A convenience fee of 2.5% is added to entry fees (E1, E2, E3) if you use a credit card. There is no fee if you use a credit card to pay jackpots. A 7% sales tax is added to entry fees (E1, E2, E3). There is no tax on jackpots. There are three levels of entry: One mandatory base entry (E1) with an 80% return, an optional Release Division (E2) with an 85% return and an optional Crew Division (E3) with a 100% return. Each entry level pays out to three places with the following splits: three winners—50/30/20; two winners—60/40; one winner takes all. There are also twenty-seven optional jackpots with a 90% return. Each jackpot category pays out to three places with the following splits: three winners—60/25/15; two winners—65/35; one winner takes all. If no qualifying fish is caught in a jackpot category, the amount that was allocated to awards is refunded to only those teams entered in the category where no qualifying fish was caught. The base entry includes weighed blue marlin, dolphin, tuna and wahoo. Awards are based on the top three heaviest fish in each species. Of the amount allocated to awards, 60% goes to the top billfish and 40% goes to the top gamefish, split evenly between the three gamefish species. If there are no marlin weighed, the prize money rolls evenly into the gamefish categories. If there are no winners in a gamefish species category, the cash allocated for that species rolls evenly into the remaining species categories. If there are no gamefish caught in any species category, the prize money rolls to the billfish category. The release division includes blue marlin, white marlin, sailfish and spearfish. Awards are given to the top three teams accumulating the most release points. Billfish releases must be video verified. The crew division includes the team’s overall catch—both weighed fish and billfish releases. Awards are given to the top three crews accumulating the most total weight plus release points. You can enter any combination of jackpots (for example: B1, B2, B3, D2, W3). Each jackpot is based on the top three heaviest fish, or most release points, in that jackpot category. You must be entered in the Release Division (E2) before you can enter the Release Jackpots. Decisions pertaining to the distribution of a team’s total purse are the sole responsibility of the team members, regardless of whether an award is published as an individual or team award. The tournament organizers do not participate in decisions regarding cash distribution. We suggest you discuss how any prize money won is to be distributed before the tournament. Disbursement Order—Before winnings are paid each team receiving a cash award must complete a Disbursement Order specifying how the funds are to be distributed. The Disbursement Order is given to the Team Contact, either at the Awards Brunch or emailed, and once completed must be signed by the Team Contact as recorded on the Entry Form. Form W-9—Any person or company receiving a check must submit a W-9 before funds can be disbursed. Cash Disbursement and Tax Documents—Cash awards are paid by check and mailed within two weeks following the receipt of the completed Disbursement Order and W-9(s). A 1099-MISC is issued for all prize money to the person or company to whom the check is made payable. Awarded to the team that accumulates the most release points and is also entered in the Release Division. The winning team’s name is inscribed on the Magnificent Blue Perpetual Trophy sculpted by Chris Barela, which is on permanent display in the Baytowne Marina Bar & Grill. Awarded to the angler who weighs the heaviest blue marlin. If no marlin are weighed, awarded to the angler who accumulates the most total weight plus release points. Awarded to the angler who accumulates the most release points. Based on overall catch—both weighed fish and billfish releases, and awarded to the lady angler accumulating the most total weight plus release points. Awarded to the junior angler (15 years or younger) who accumulates the most total release points. Awarded to the junior angler who accumulates the most total weight points (all species). The ECBC is a qualifying event in the Gulf Coast Triple Crown Championship (gulfcoasttriplecrown.com) and InTheBite’s Captain of the Year Cup (inthebite.com/captain-of-the-year-cup). Points and/or placement awarded in the ECBC count in these tournament series. The ECBC sends team contact, points and placement information to each Series’ coordinator. Any prizes or awards are the responsibility of the Series’ and not the ECBC. Refer to the Series’ websites for current rules and standings. The Team Contact is the designated team leader and there can be only one per team. The contact’s information must include a mailing address, mobile phone number and email address. Any instructions, confirmations or requests for information are sent to the team contact and they are responsible for getting information to the other team members. In addition, the Team Contact signs the Disbursement Order designating how cash awards are distributed, and any refunds are made payable to the team contact. The ECBC is a team tournament. There is no limit to the number of people you can have on your team but they must be registered with, at a minimum, first name, last name, city and state. The captain and mates are also automatically considered anglers. Guests are allowed but cannot participate in any fishing activities. Dockage fees are not included in entry fees. A $500 non-refundable deposit is required to reserve a slip, which is applied towards overall marina fees after the tournament. If you have any questions or need help with your reservation email tournament@fishecbc.com or text/call Julia at 910.264.3947. Withdrawals must be submitted via email to tournament@fishecbc.com. Withdrawals submitted before May 31—Any fees paid are refunded in full. Withdrawals submitted after May 31 and before noon on Registration day—Deposit is rolled to the following year, but must be used the following year or is forfeited; any additional fees paid are refunded in full. Withdrawals submitted after noon and before 8:00pm on Registration day—Deposit is forfeited; any additional fees paid are refunded in full. Withdrawals submitted after 8:00pm on Registration day—No refunds. If the tournament is cancelled for reasons outside of the tournament organizer’s control, deposits are forfeited; any additional fees paid are refunded in full. 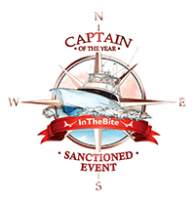 The ECBC is a qualifying event in the Gulf Coast Triple Crown Championship (gulfcoasttriplecrown.com) and InTheBite’s Captain of the Year Cup (inthebite.com/captain-of-the-year-cup). And because we are, when you fish the ECBC you are also competing in these prestigious tournament series giving you even more ways to become a champion!